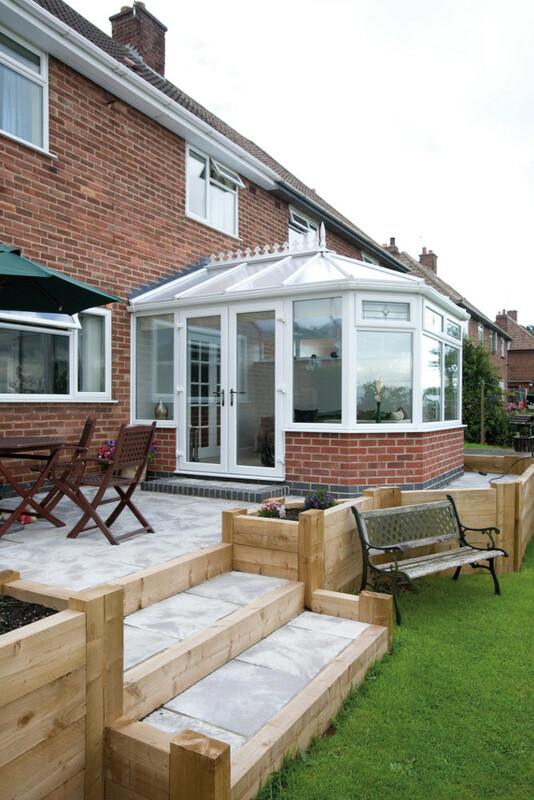 We have a variety of conservatory styles for you to choose from, as well as being able to create bespoke designs if you’re looking for a custom-built conservatory to suit your home and garden. Below are some examples of the different types we can create. 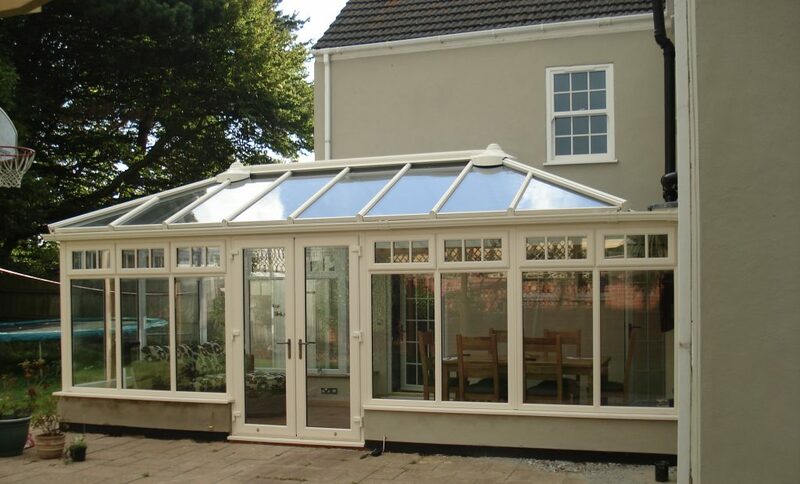 This is a very popular style of conservatory. Its bay windows give it the appearance of being curved and it is particularly suitable for period properties, but it will suit any home – hence its popularity. A traditional three-facet front has three windows in its bay. A five-facet front is also available, and this gives more space inside as well as giving a smoother look. 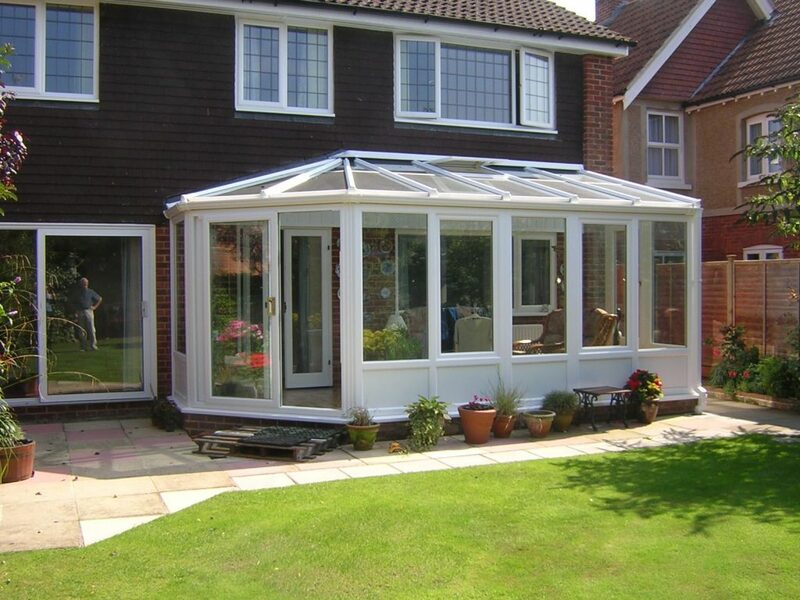 This is a flat-fronted style of conservatory that utilises floor space well. It is square or rectangular inside, while its sloping roof and modern looks help make it suitable for most properties. 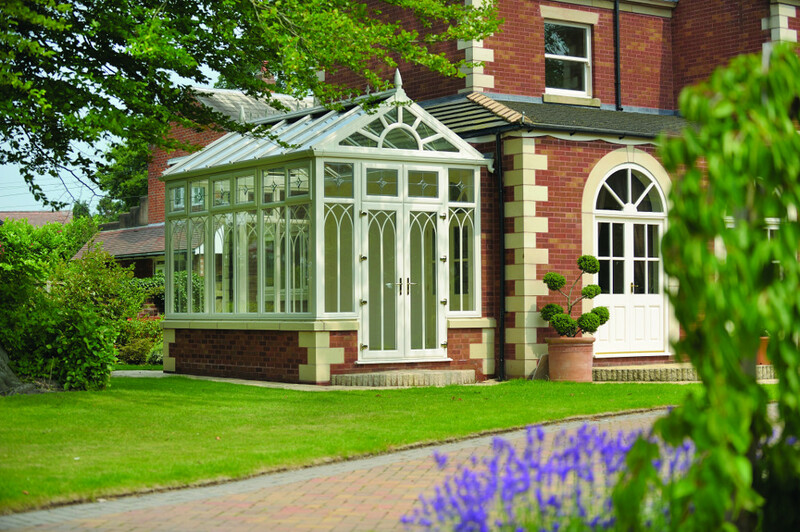 A P-shape conservatory combines the lean-to and Victorian styles to create a versatile and visually stunning open space. This shape is better suited to larger, detached properties. Because the P-shape extends in different directions, it can be considered as consisting of two separate areas – perhaps a lounge area and a children’s play area, for example. 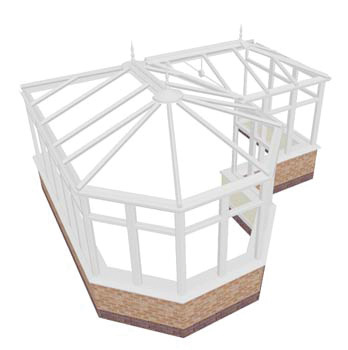 As with a standard Victorian conservatory, the bay front has a three-facet and five-facet option – either way, a P-shape layout can give an extremely smart look to your home. 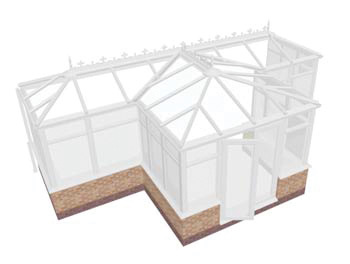 The width of a T-shape conservatory is similar to the width of your home, with a central projection – a bit like a porch. In terms of style, it is Victorian, Georgian or gable. 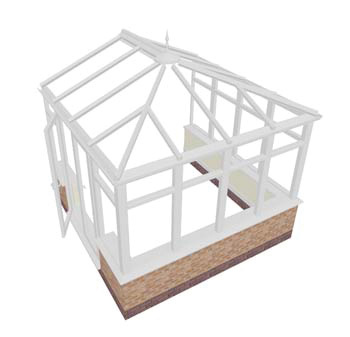 Although most homes will be improved by such an addition, it is particularly suitable for detached properties with larger gardens, because the T-shape will extend into your garden. 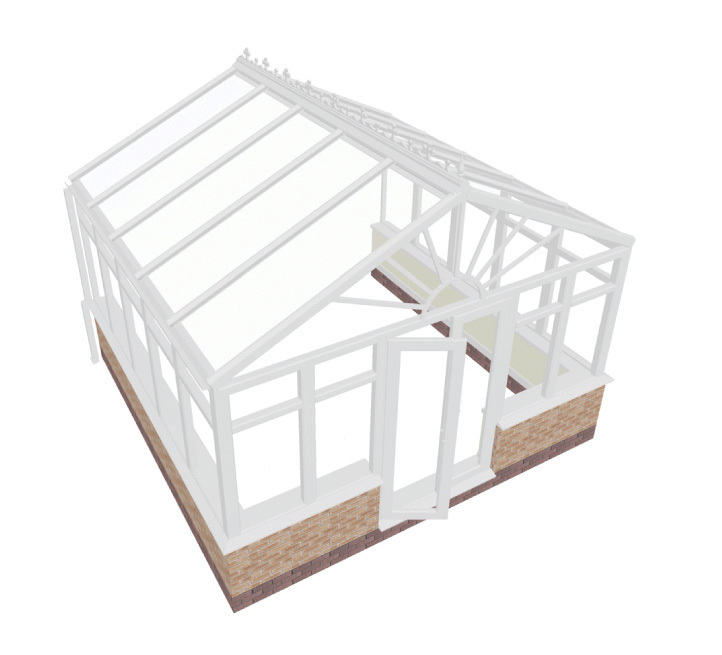 The lean-to conservatory is the simplest in our range. 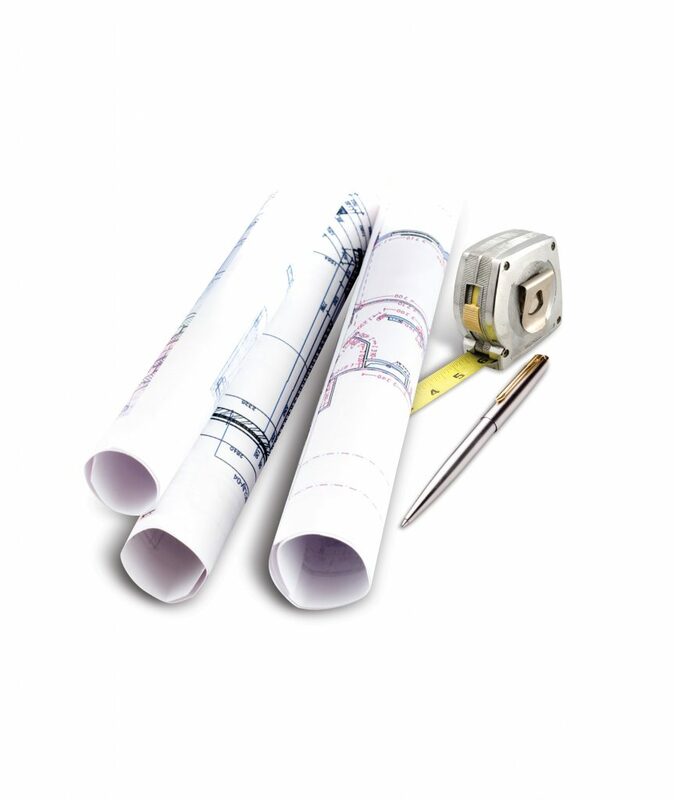 Although it’s great value for money, there are no corners cut on quality and it is ideal for properties with little room under the eaves (such as bungalows), or if you just want a clean, simple and contemporary look. The roof pitch can be varied – as with all our products, there is no one-size-fits-all – so it is suitable for properties of all sizes. The lean-to is also called the Mediterranean and is often what people are referring to when they talk about a “sunroom” or a “garden room”. It usually has a single door, but you can choose from our complete range of door options. 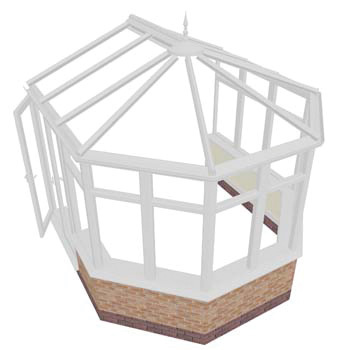 A gable conservatory has the same square or rectangular dimensions as a Georgian conservatory, but its roof stays upright rather than sloping to a meeting point in the centre. The front of the roof remains upright, like the gable in a house – hence the name. Many of our customers opt for this style because they feel it adds a touch of grandeur to their homes. A gable conservatory can feel more airy than other styles, and it can allow more light into the room. 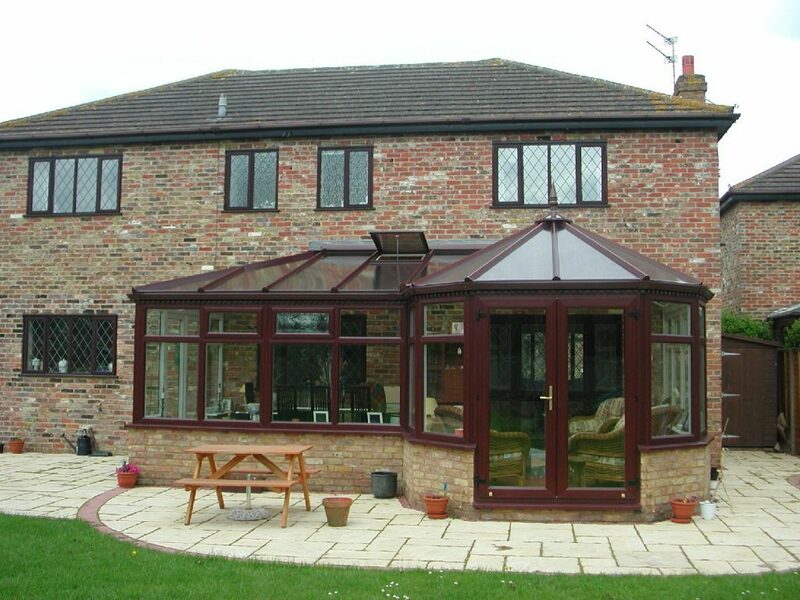 This is sometimes thought of as the “original” style of conservatory. 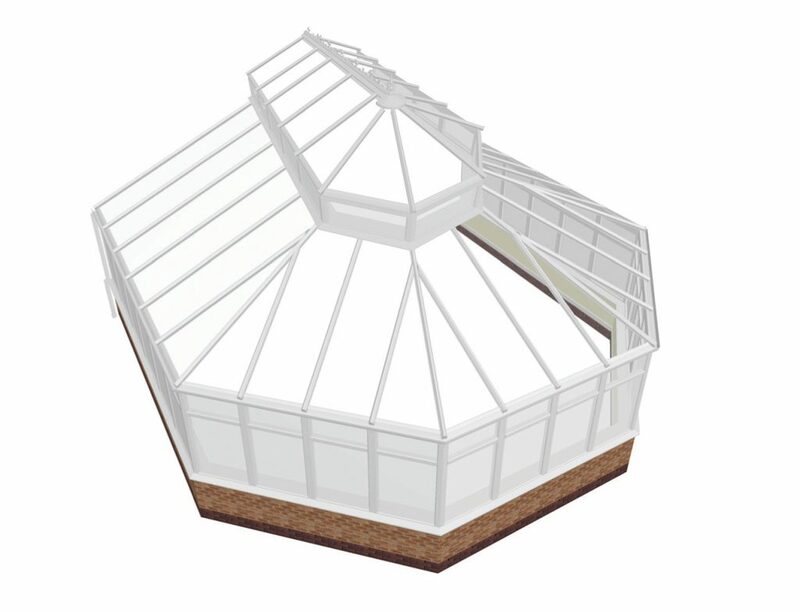 The height of the two-tier roof provides extra light and space, and this design is often used for larger conservatories and swimming-pool enclosures. Period homes are particularly well suited to lantern conservatories, with the grandeur they provide perhaps proving a better match for the property than more basic styles. 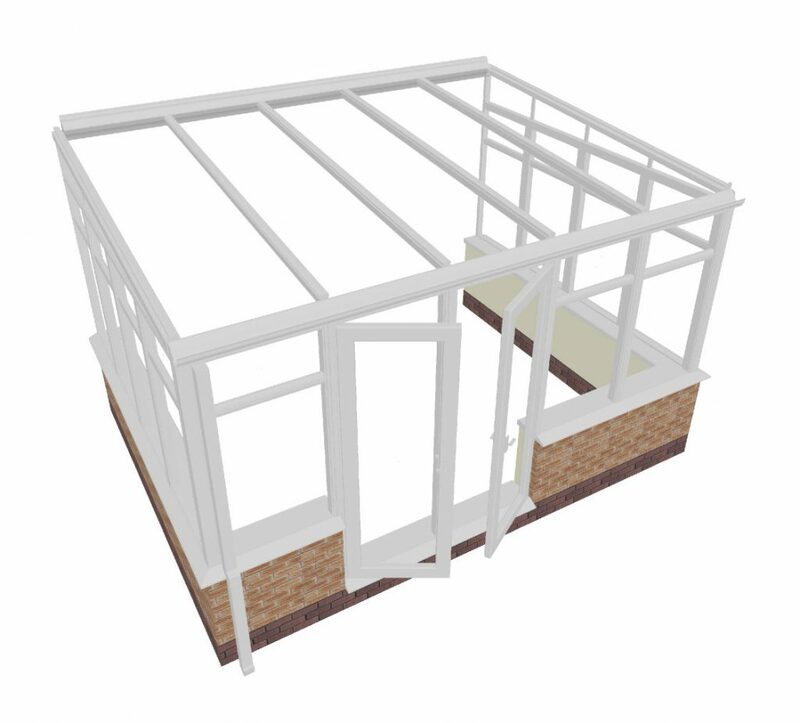 Although we are highly experienced in helping design P-shape and Y-shape conservatories, don’t feel constrained by these designs. 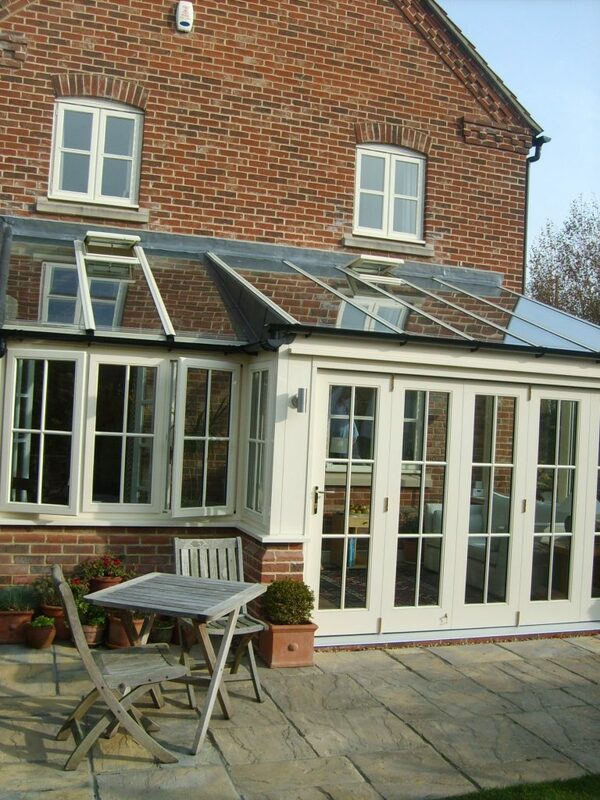 Our knowledgeable professionals can work with you to help design a conservatory exactly as you would like it. 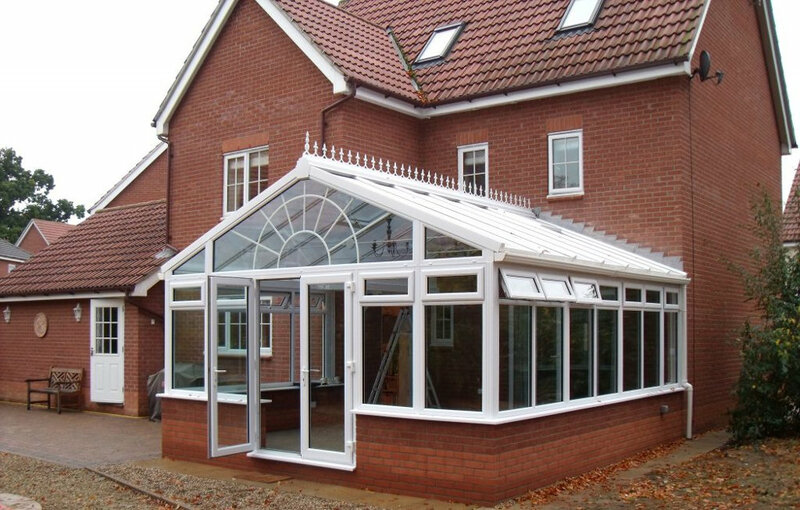 All our conservatories are built to order, so you are free to incorporate any design you like, and we will make it happen. Deciding which style of conservatory is right for you can be fun – even if it’s not always easy. First you’ll want to consider how best to complement your home, and what you really hope to get out of your new room. To find out more about the full range styles and options along with the colour options, wood effect or solid colours, please contact us by requesting a quote. 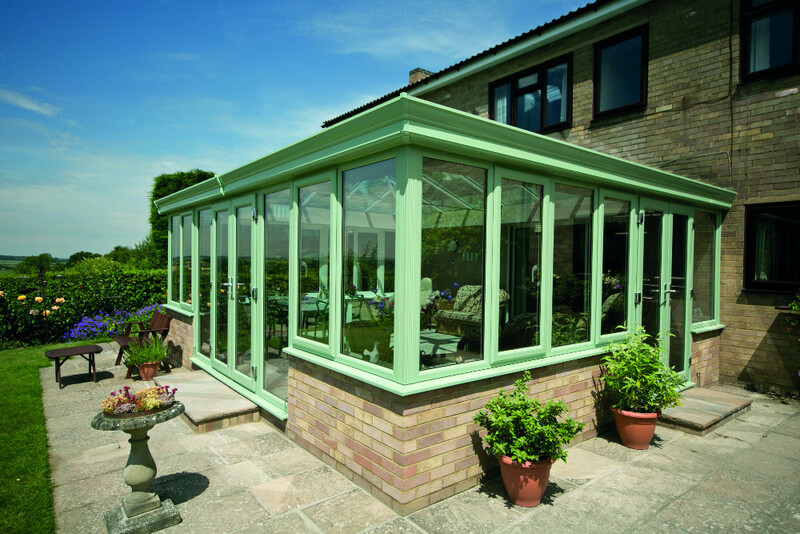 Our heat-reflective glass will ensure you enjoy your conservatory all year round. Its unique coating reflects almost twice as much solar energy as standard glass, and reduces the glare on those bright sunny days. Because it’s designed specifically for British weather, it doesn’t perform only during the summer. It also has special “spacer technology” to retain heat and increase the edge temperature by up to 65%, so you can enjoy your new conservatory at just the right temperature whatever the weather. Conservatories are comfortable places to relax and enjoy all year round.